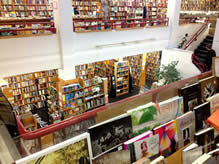 While exorcising our retail demons downtown we always make time for both large bookstores. 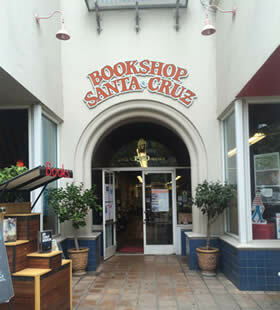 Bookshop Santa Cruz opened in 1966 as the consummate community bookseller. Deeply involved in our town and beloved by locals; Bookshop serves as a social hub, speaking venue, ersatz thoroughfare, and an unmistakable landmark. My favorite browsing here comes pawing through boxes of used books. Inevitably I find something on the cheap that I’ve always been meaning to read. Logos Books & Records opened three years later in 1969. Though they stock a wide selection of new releases, I shop here almost exclusively for their used book selection. Walking in from Pacific I beeline straight to the large stairwell in the center of the building, down to the basement level and deep into the dozens of stacks of used paperbacks. “Did someone sell them the book I’m missing from my Lawrence Block collection? Oh wow, I didn’t know Alan Dean Foster wrote short stories!” The selection here, both new and used, is unmatched in Santa Cruz County. Logos is a necessary stop for any bookworm. Of the two comic book stores downtown, I favor Comicopolis. On paper, Comicopolis would seem to be the lesser of the two options. 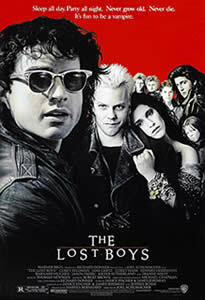 Atlantis Fantasyworld is older (by almost a quarter century), it’s bigger, it’s been nationally recognized in its industry, and it even features in local cult movie favorite “The Lost Boys.” These things being true, Comicopolis remains my go to destination for all things nerdy. Maybe it’s my relationship with the guys who’ve been working there as long as I can remember. Maybe they stock more of the genres or series that I care most about. All I know is that I keep coming back. It can’t all be bias however; Comicopolis is regularly voted Best Comic Book store by readers of the local weekly newspaper. Shopping accomplished, bounty of words in hand, it’s time to set off and find a quiet reading spot. Might I suggest a secluded beach off highway 1? A hillside in the Pogonip? If it were me, I’d head off into the redwoods. More about those next time!